My daughter loves waffles and was constantly requesting if I would make them. One day I went shopping with her and she spotted a waffle iron, so I had to buy it, and since then we have been making waffles. These are so easy to make, about 10 minutes of preparation, another 10 in cooking them and you have waffles. 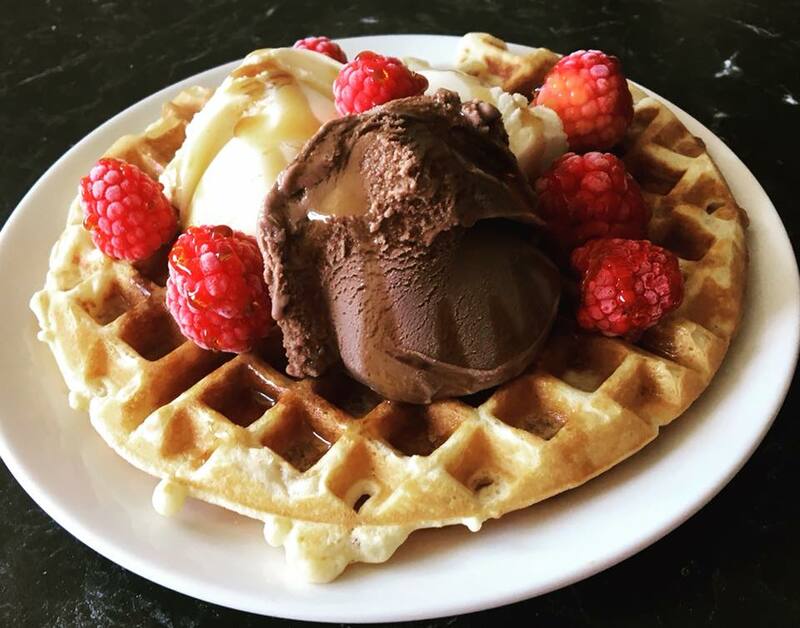 Each waffle iron works differently, so after you have made the batter, just follow your waffle iron instructions, but this is seriously one easy dish to prepare. Top them with whatever you like and they become a great dessert, snack or breakfast. I can see waffles being made in my house for many years to come. In a small bowl beat egg whites until stiff. In a large bowl add the yolks and milk, beat with electric beater until combined. Add the flour, baking powder and sugar, beat on low speed until smooth. Add the melted butter and water, beat until combined. My waffle maker takes ½ cup batter poured into the centre, spread with a silicone spatula. Close the waffle maker and follow instructions, they should be ready in about 1 minute. 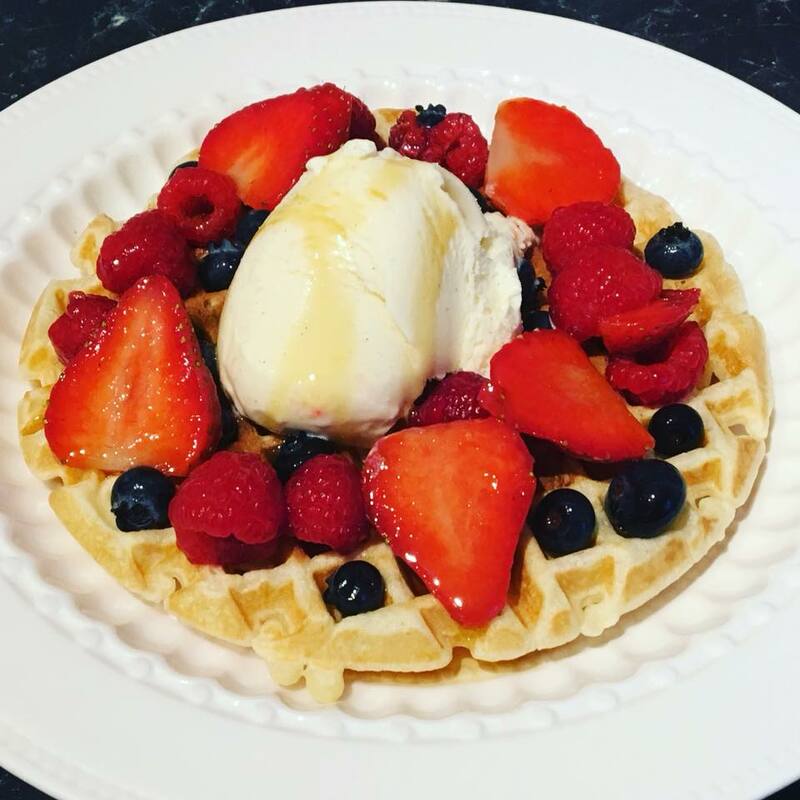 Serve waffles with toppings of your choice, I like berries, ice cream and maple syrup.